China is the world’s largest smartphone market and its been a hell of a run for Chinese smartphone makers. 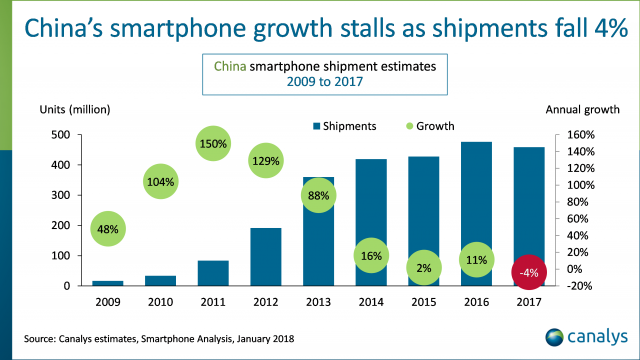 But as they say, “All good things must come to an end.” The Chinese smartphone market is witnessing its first ever decline. According to a report by Canalys, the Chinese smartphone market suffered a drop in shipments, thanks to poor business in the fourth quarter of 2017. 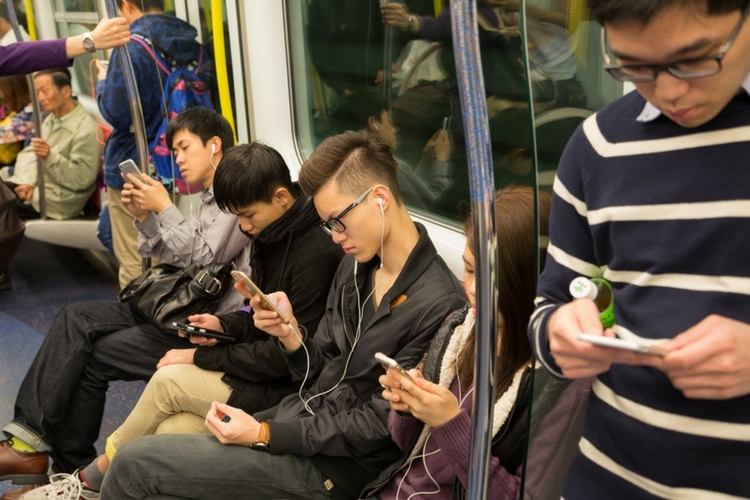 A total of 459 million smartphone units were shipped in China last year. According to the report, this 4-percent decline was due to 14 percent fall in year-on-year sales of mobile phones in Q4 2017. In terms of the individual smartphone makers, Huawei managed to come out with flying colors in the shrinking market in Q4. The company saw shipments increase by nearly 9 percent. Huawei managed to ship 24 million units and remain on top of the list in its home country. It is also worth noting that Huawei sold a total of over 90 million smartphones in 2017 in the market. Honor, Huawei’s sub-brand is in part responsible for Huawei’s growing numbers. The company contributed more than half of Huawei’s numbers which is quite impressive, to say the least. Other homegrown players like Oppo, Vivo, etc., sadly saw shipments fall by 16-percent and 7-percent respectively. Oppo shipped a total of 19 million smartphones, whereas, Vivo shipped 17 million for the quarter. The threat to vendors such as Gionee and Meizu is now closer than ever. There is little room left for the smaller vendors. We can expect a major market shake-up in China in 2018.